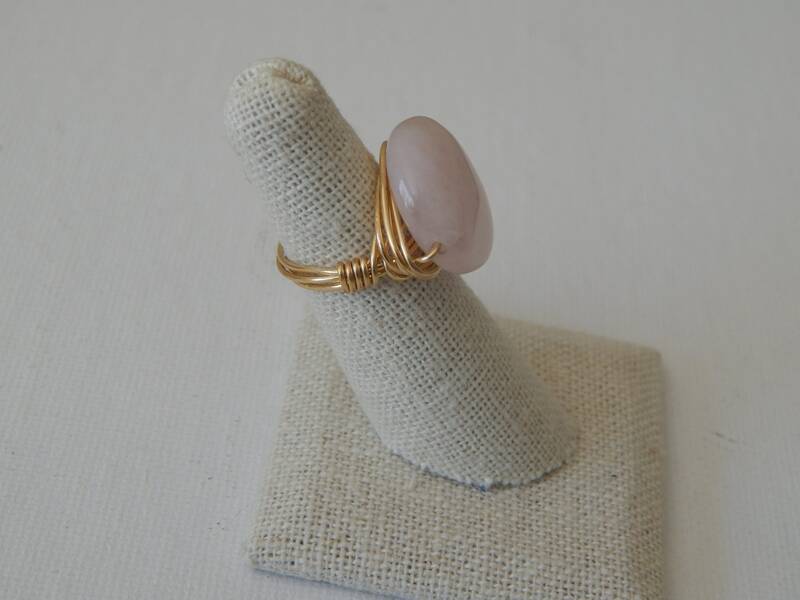 A pink rose quartz coin shape bead is wire wrapped in gold wire. 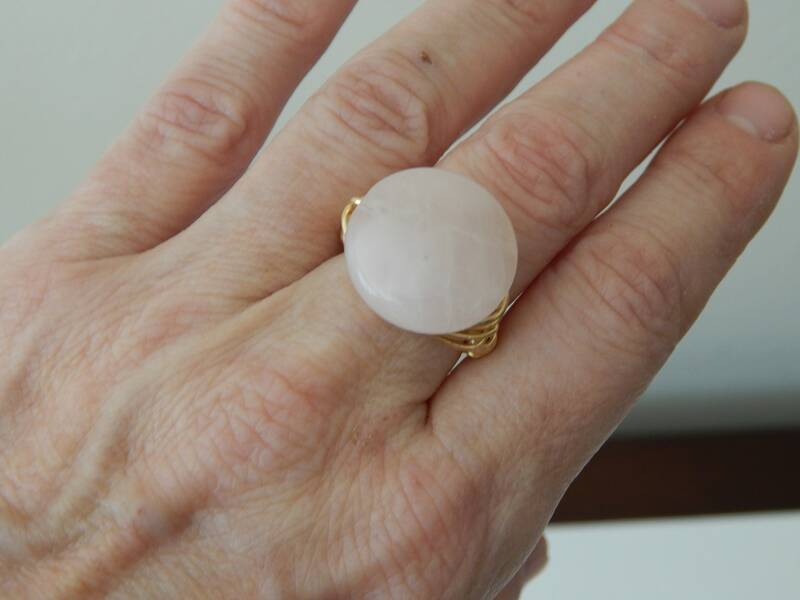 The rose quartz is a subtle pink color that makes it perfect for everyday wear or makes a wonderful bridesmaid gift. 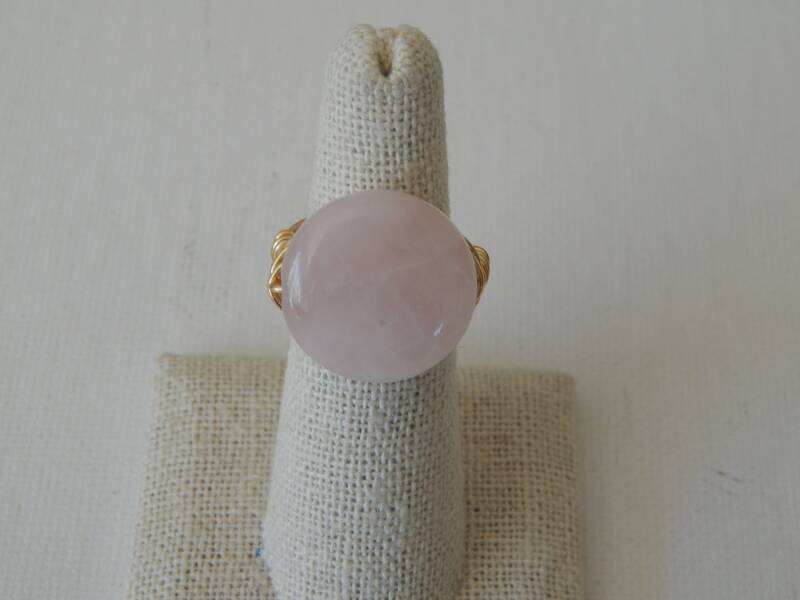 Bead size is 20mm. Available in tarnish resistant silver wire and comes in whole and half sizes. Just make your selection at checkout.